What are the differences between Heel Lifts and Height Increasing Insoles? We at NuovaHealth are often asked about the differences between the Gel Heel Lifts and the Height Increasing Insoles in our height increase range of products. In this article we aim to answer some of the common questions we get asked so you can make a better informed purchase decision. What are Gel Heel Lifts? The silicone gel heel lifts are more versatile and adjustable than the height increasing insoles allowing a more precise height increase. You simply stack as many layers as you want to achieve the desired height you need. Each layer adds 7mm to your height; in a pack you get 5 layers which equal 35mm or 1.5 inches in added height. Buy an extra pair and you can stack the layers even higher for an added height gain of 3 inches. The Gel heel lifts are ideal for leg length discrepancy (where one leg is shorter than the other.) The gel heel lifts are ideal because of the precise way in which you can adjust the height. The gel heel lifts are also ideal for small shoes that are too small for the height increasing insoles, they will fit all your shoes and trainers and you can adjust them so the heel lift fits snugly inside the shoe instead of being constrained by lack of space. What are the best heel lifts to buy? Our gel adjustable heel lifts are perfect for those with length length discrepancies or for those just looking for an extra bit of height. They have been specially designed to slip inside just about any type of shoe quickly and easily. The super discrete and non bulky design will ensure that nobody except from you will know that you are wearing them. The 5 layer stack system will give you the freedom to adjust the height of each of heel lifts quickly and easily allowing you to gain up to 1.5 inches. 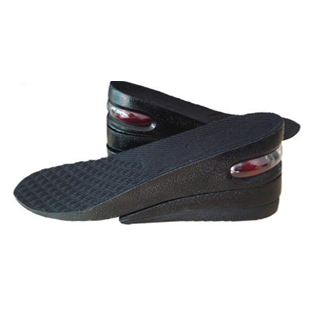 Furthermore, these heel lifts make use of orthopedic support technology. This will help to keep your feet and lower limbs healthy by giving your feet and heels more stability and support where they need it the most and encouraging proper gait when you walk. This will help to ease pressure and strain off key parts of your foot such as the plantar fascia and Achilles tendon helping you to avoid a number of different foot related injuries. Can make you up 1.5 inches taller, giving you an instant boost in confidence! Made from special medical grade silicone gel to help absorb shock and stop the build up of pressure underneath your feet. Adjustable stack system provides a quick and easy way to adjust the height of your heel. An ideal choice for people suffering from leg length discrepancy, Achilles tendinitis or plantar fasciitis. Out of sight and out of mind. These shoe lifts are placed inside your shoes making it near impossible for other people to know that you are wearing them. These gel heel lifts are made from medical grade silicone gel and are perfect for those suffering from foot pain and injuries. The silicone gel is designed to help massage your feet as you walk absorbing pressure and shock preventing further damage to your foot and allowing your foot to heal properly. Built in heel cup and arch support will help to keep your feet and heels properly supported and balanced helping you to avoid common foot injuries such as plantar fasciitis. Using their clever layer stack system these heel lifts can be used to increase your heel height by as much as 1.5 Inches. 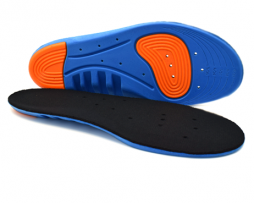 Thanks to their lightweight and compact design these insoles can be placed inside just about any type of shoes quickly and easily and wont make your shoes feel any tighter. Adjustable layer stack system can give you a boost in height by as much as 1.5 inches! Made from lightweight, durable silicone gel that helps to stop shock from damaging your heels and feet. Added memory foam top layer helps to make your shoes feel more comfortable for longer. What are Height Increasing Insoles? Height increasing insoles are designed to be more comfortable than the gel heel lifts and are more substantial and solid. They are also designed to last. However these advantages are reduced by the fact that they are not as adjustable as the gel heel lifts as there are only 2 layers but those 2 layers allow for a respectable 2 inches gained in height. Due to the lack of adjustability height increasing insoles are not recommended for leg length discrepancy. Height increasing insoles also take more room in the shoe and so are only recommended for larger footwear like boots. However it must be reiterated that the Height Increasing Insoles are the best quality product, offering superior comfort and more of a lift. What are the best height increasing insoles to buy? These height increasing insoles are the perfect for choice for anyone looking for a quick height boost. They have been designed to be feel super comfortable inside your shoes or boots, featuring orthotic support technology to keep your feet properly supported and free of strain and injury when you wear them. 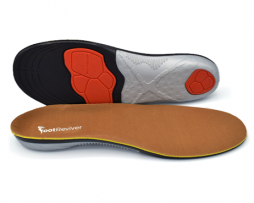 With the layer stack system you are able to adjust the height of these insoles up to 2 inches. With the layer stack system you are able to slowly increase your height over time making it look to your friends that your are naturally growing taller. These insoles also feature a full 30 day money back guarantee which means if for whatever reason you are not happy with the insoles you can send them back to us to get a full refund no questions asked. Can make you 2 inches taller, instantly! These insoles are hidden inside your shoes making it impossible for people to tell that your wearing them to make your self look taller. These in sock insoles allow you to increase your height without needing to wear shoes! Featuring built in arch and heel support to help your feet feel comfortable means these insoles are perfect for people with flat feet or high arches who maybe suffering from foot or heel pain. 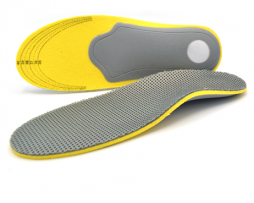 Using orthotic technology these insoles will support your feet and and correct common bio-mechanical imbalances linked to foot injuries to help you walk pain and injury free. The fact that these lifts are placed either inside your shoes or in you socks means that none will be able to guess your wearing them to make yourself look taller. Can be worn around the house without the need of wearing shoes! Provides orthotic arch support to help ease pressure off your feet and correct bio-mechanical imbalances that can cause overuse foot injuries to arise. Protects, cushions and stabilizes your heels making them ideal for people who suffer from heel pain. Full 30 day money back guarantee for customer peace of mind! For medical conditions such as leg length discrepancy we recommend the heel lifts. We also recommend the heel lifts for everyday trainers and shoes where there is not a lot of room for the feet. The height increasing insoles offer superior comfort and added increase in height but lack in adjustability and should only be worn with boots with plenty of room for the feet. We recommend trying the heel lifts at first and if you enjoy them you may want to invest in the height increasing insoles for your boots. If you are involved in athletics then you can benefit from the use of sports insoles. Sports insoles offer reduced risk of injury and improve performance. Running is an example of an activity that can be improved by the use of sports insoles. Running is extremely popular due to the high amount of calories it burns, the ease in which you can take part and the improvement in your cardiovascular health however running comes with risks. When your foot hits the ground the force generated is equal to 5x your body weight and this force is transmitted throughout the foot and up the legs and into your lower back. This force is then repeated over and over again as you run. The problem is that over time it results in strain on the knee joints and the lower back resulting in pain. Sports insoles benefit you by absorbing the shock as you hit the ground. The impact is reduced and so straining is reduced. Sports insoles also come with a specially designed arch support. The arch support is an orthotic feature. The orthotic creates an extra cushioning effect on the foot which will alleviate conditions such as flat foot (that can be made worse by running) and help to create an optimal and mechanically efficient posture further reducing pain in the knees and the lower back. In conclusion many people take up running and athletics as part of their new year’s resolution and we fully support this as it offers tremendous health benefits. Nuova Health however caution new runners because running is a high impact activity you can make certain conditions worse. Sports insoles can reduce the risk of injuring yourself so you can enjoy all the benefits of running or sport and not have to suffer any of the downsides. Nuova Health sell high quality insoles designed for all types of conditions. 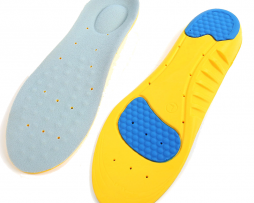 We recommend you take a look at our sports insoles. People often ask us: “Is there a way to get taller?” In this article we will discuss various ways we know can help you to grow taller. If your growth plates have not closed yet (you are under the age of 21) then by stimulating your growth hormones you can gain more height. Growing taller can be as easy as sleeping more. Growth Hormone levels spike during the deepest levels of sleep. Make sure to get at least 9 hours sleep a day. In order to sleep well we recommend waking up and going to bed at the same time every single day – this will help to set your circadian rhythm (think of this as a kind of clock inside your brain that determines when you wake up and when you fall to sleep.) An efficient circadian rhythm will make falling to sleep easy and you will be able to reach the deepest levels of sleep required for the highest growth hormone boost required for height gain. Eat well but eat healthily. This means eat a lot but it must be healthy food such as lean proteins, dairy, vegetables and whole grains. Cut down on trans-fatty foods and reduce alcohol consumption. Eat well but not so much that you gain excess body fat. Make sure to measure bodyfat levels and keep them low. Bodyfat contains aromatose enzymes that will convert testosterone into estrogen. Estrogen has been found to help in closing the growth plates thus limiting height gain. We recommend basketball and high intensity training. Basketball will help you to stretch your spine and stimulate your bones to grow whilst high intensity training will boost human growth hormone production. We have touched on some of the basics required for growing taller from which you can conduct your own research. For those looking for instant height gain we recommend using either our height increasing insoles or gel heel lifts. An inflamed plantar fascia can be extremely painful; it can be caused by overuse of the plantar fascia and can be difficult to treat. It is estimated that at least 10% of the population of America will suffer from this condition over a life time. The pain is often felt at the bottom of the heel, the pain also usually builds up and gets worse over time. Plantar fasciitis can also result in an increased likelihood of pain in the knees due to the way a person shifts their weight into an unnatural posture in an effort to relieve pain on the heel. How do you treat plantar fasciitis? Avoid walking for long distances and standing for long periods of time. Stretch your calf muscle and the plantar fascia. 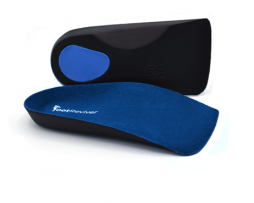 We have sourced special plantar fasciitis orthotic insoles and plantar fasciitis heel pads designed to alleviate the pain and eliminate friction on the heel. The special orthotic design also supports correct posture helping to eliminate niggling lower back and knee pain. All our products come with a special 1 year money back guarantee – if for whatever reason you are not happy then you can just send them back and you get all your money back – we are so certain that you will just love our products. You have nothing to lose and you won’t get that guarantee anywhere else! In conclusion to this article we recommend you do something – plantar fasciitis doesn’t just go away by itself – you need to rest, stretch and support the plantar fascia in order to alleviate the pain and return it to good health. 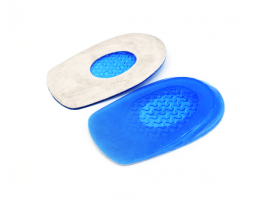 These gel heel pads will give your feet and heels extra cushioning, protection and support! 2x High Quality Gel Heel Pads for Plantar Fasciitis (Left and Right). Cushions and protect your heels from damage and injury. Made from shock absorbing high quality silicone gel. Stabilizes and rebalances heel to prevent ankle sprains and strains. Spreads pressure evenly to avoid build-up of potentially damaging pressure underneath heel. This makes them perfect for people who are standing for long periods on hard floors. Light weight and discrete non bulky design means these can be fitted into just about any type of shoe giving your feet extra comfort without compromising on style. Eases strain and tension in the Achilles tendon ideal for preventing and treating Achilles tendinitis. Stabilizes and eases pressure off your foot and ankle to help prevent and treat overuse injuries such as plantar fasciitis and Achilles tendinitis. Inbuilt arch support helps stops your foot excessive overpronation (which is when the foot rolls inward excessively during gait) or excessive supination (which when your foot rolls outwards excessively during gait). Excessive overpronation and supination are the most common causes of plantar fasciitis in adults. This is because they can unnatural amount of load on your arch causing it to become inflamed and damaged. That is why these heel cups are perfect for anyone suffering from plantar fasciitis as they help to support your foot in the correct position and help stop your from from pronating in the wrong way. Built from shock absorbing materials that help to stop shock from damaging your feet and lower limbs when walking. These heel cups helps to prevent the build up of pressure underneath the soles of your feet by spreading pressure evenly across your whole foot instead of allowing pressure points to develop. 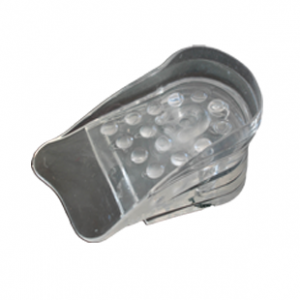 This makes these heel cups are ideal for people who find themselves on their feet for all day and suffer from foot and heel pain. Comes with a full 30 day money back guarantee which means if you are not entirely satisfied with them you can return them to get a full refund! Made using the very best shock absorbing materials to give your feet and lower limbs enhanced protection against from shock damage. Ideal for treating and preventing metatarsalgia, bunions, blisters, plantar fasciitis, Achilles tendinitis, shin splints, knee tendinitis, hip and lower back pain AND MORE! The number one cause of foot and heel pain in adults is due to plantar fasciitis. It is estimated that one in ten people will this injury at least once in their lifetime. Plantar fasciitis is caused by unnatural load inflaming and damaging a ligament that supports your arch called the plantar fascia. Unnatrual load on your plantar fascia is often triggered by bio-mechanical imbalance such as overpronation and excessive supination. 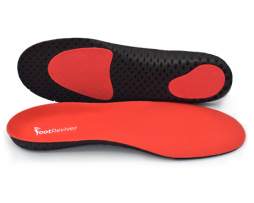 Wearing a pair of these orthotic arch support insoles inside your shoes can help to improve the bio-mechanics of your feet and prevent overproantion and supination. Our insoles have been specially engineered to help to realign and support your feet in the correct position that causes the least amount of strain and pressure on your feet. Helps to improve the way that your foot functions using inbuilt arch support to stop common bio-mechanical imbalances that can cause plantar fasciitis to develop. Orthotic support helps to support and improve positioning of your feet This can have a great impact on your overall posture and ease and treat not just foot injuries but also leg, hip and lower back problems as well. NuovaHealth now present the latest generation, highest quality orthotic insole, specially designed for runners, athletes and sports enthusiasts alike or for everyday use. Improves balance, stability and foot strength. Improves running ability through improved foot pronation. 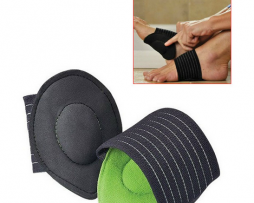 Helps treat and prevent common foot injuries such as plantar fasciitis and Achilles tendonitis. 1x pair of genuine FootReviver™ insoles specially engineered to improve support and protection to your feet when running or playing sports. Shock absorption helps to stop shock from causing damage to your feet and lower legs making these insoles ideal for helping stop shin splints. Arch support helps to prevent common bio-mechanical imbalances causing unnatural load and pressure damaging the plantar fascia ligament that supports the arch of your foot. Orthotic heel cups will help to improve stability and balance in your heel helping you to avoid movement that could cause injury to your lower limbs. Help to keep your feet protected and supported whilst you play sports with a pair of these Sports insoles! 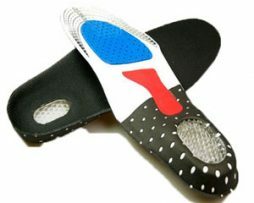 2x High-Quality Sports Insoles (Left and Right foot). Designed specially to protect your feet from damage whilst playing Sports. Made from highly durable and shock resistant materials for better protection against shock. Inbuilt arch support eases pressure off your arches and corrects the way your foot functions by supporting your feet in the right position when you walk or run. Features heel cup technology that will improve heel comfort and stability. Added metatarsal support pads help protect and support the balls of your feet. 30-day money back guarantee ensures you have nothing to lose if you find that the insoles aren’t right for you! Have you ever wondered why some smaller Hollywood actors can be cast for tall roles in films and actually appear to be tall in those films? An example of this would be Tom Cruise (who is reported to be around 5ft 7 in height) playing the 6ft 6 Jack Reacher in his new film. This is all possible due to a mixture of camera tricks, double actors and height increasing insoles and or heel lifts. Height increasing insoles are an extremely simple trick, you simply place them inside the shoe and they lift the heel of your foot giving you an instant increase in height and because they are hidden inside the shoe it appears that the person is taller than they really are. Not only Height increasing insoles are being worn in Hollywood but they are also used extensively in politics and high powered business in an effort to gain an edge. Taller people do appear more dominant so by wearing height increasing insoles men can gain an edge in their careers and over other men. Another benefit is the fact that women are attracted to taller men as well. Imagine being well paid and attracting the girl of your dreams? How much taller can height increasing insoles make you? Nuova Health sells two different types; the first is an insole that by using both layers can increase your height by up to 2 inches, secondly we have a gel heel lift which can increase your height by up to 3 inches if you stack 10 layers together. If you add all this to a boot with a small heel then you can easily gain 4 inches in total. A 4 inch height gain can be life changing. Imagine how differently people would react to you if you where 4 inches taller? Best of all this kind of height gain is instant and affordable, so what are you waiting for? Pinhole glasses allow anyone with blurry version (whether that is someone who is short-sighted or long-sighted) to be able to see clearly but how do they work and do they work? You can test the theory of pinhole glasses yourself, right now, without any special equipment. First of all make sure you are in a brightly lit room then close one of your eyes and then place your first in front of your other eye only letting in a small amount of light through a small hole between the finger nearest your thumb. Experiment with the size and the positioning of the small hole in front of your eyes and then you will be soon amazed that there is a marked improvement in your vision without having to strain your eye. The small hole helps to focus the light thus enhancing the quality of the image you see. Pinhole glasses work on this concept using many tiny holes to build up a bigger but clearer picture. It is thought that if the pinhole glasses help to focus the light for you without straining the eyes they may be able to help as part of an eye exercise routine to improve eyesight naturally. Some people report that wearing pinhole glasses for 15 minutes a day can cause noticeable improvement in vision within 4 weeks. If you are short-sighted then use pinhole glasses whilst watching TV and if you are long-sighted use them whilst reading. This way you can train your eyes to see clearly in these situations that cause you problems. Obviously a lot of research needs to be done on the effects of pinhole glasses. We would advice you not to wear them whilst driving a car or operating dangerous machinery and to take care because they do limit peripheral vision. Many people have reported benefits however others have not. They are cheap and durable and worth a go as part of a wider eye care regime. Nuova Health sell pinhole glasses and whilst we cannot make any medical guarantees – if you are not satisfied whilst using pinhole glasses you can return them after a year and get a full refund. How is that for a guarantee? Try them out and if they don’t work then return them – you have nothing to lose. Also let us know how they work for you as we want to know if they are helping people so we can work to make more people aware of any potential benefits of wearing pinhole glasses. Stay updated with NuovaHealth to enjoy our special promotions!